STUNNING 19.53 ac RANCH ESTATE that embraces a custom built 3br,3ba home,brand new custom tile looks like hand scraped wood flooring throughout home with large open Kit,DR,LR entertains vaulted ceilings that extend to the open patio with in-ground pool that overlooking resort style property.Split bedrooms allows privacy to lg Mstr suite.Huge laundry storage galore.Home office could be a 4th br. 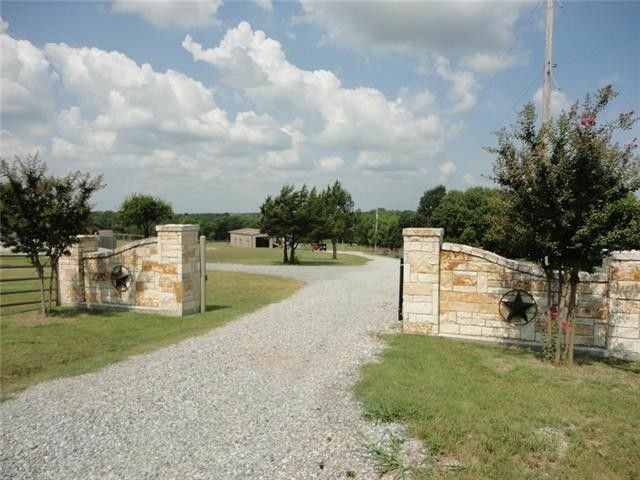 2100sf well insulated metal equine barn,2 custom stalls with interior 700sf 1br,1ba full living qtrs that include separate laundry rm.Property has 3 pastures,pipe fencing,cross fenced,cattle pens,load shoot and shooting range.Custom stone Texas style gated entry welcomes you home ! 1 hr notice to show. A MUST SEE !